As a writer, your mission is to set and accomplish a measurable writing goal for the summer, and line up friends, family and followers to support you in this effort. 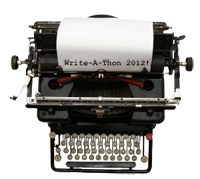 You can sign up and begin writing and getting sponsors any time, until the end of the Write-a-Thon. 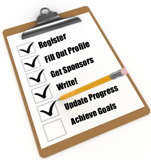 To help you and your sponsors track your progress, you'll begin by creating a "writer's profile page." This page gives your sponsors some information about you, shows your goals and how you're doing, lists your sponsors and your funds raised, and makes it easy to share on popular social networking sites as often as you like. Begin by signing up to write. Fill out the registration form. Be sure to check the "Set up a writer profile page" box. As soon as you click "Register," you'll receive an email with additional instructions, including the URL of your new writer page. You can also find your writer page URL by logging out, going to Browse Writers and clicking your name, or by clicking the "share" icon on the profile page itself. Next, edit your writer page. Log in at the top of any page on the site, click the "Home" tab, and select the "Visit Your Profile" banner. At the top of your page, you'll see a menu that includes a "Edit Profile" link. Click there to begin building your personalized Write-a-Thon writer profile. Answer as many of the questions as you can. It's especially important to include a bio and excerpts. A link to your website and/or personal blog helps, too. 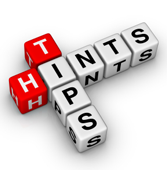 If you need additional help editing your page, visit our Profile Page Tips page. Be sure to upload a recent photo of yourself. A JPG that is a maximum of 200 pixels in width is ideal. But our software can resize it for you if necessary. Post frequent updates everywhere. Refresh your Write-a-Thon writer's page often with new excerpts. Use the social sharing buttons to post writing progress reports on Facebook, Google+, Twitter, or your personal website or blog. Make sure all of your efforts link to your Clarion Write-a-Thon writer's page. (Remember, you can easily find the URL of your page by clicking the "share" icon.) If you have trouble editing your page, get extra help here. Line up your sponsors. Contact friends, family and fans to let them know you're raising money for Clarion while nurturing your writing life. Your writer page comes complete with personalized donation buttons to make it easy for your supporters. Feel awkward about asking? Here's a model letter to use as a starting point. Participate as both a Writer and a Sponsor. When you support others, they'll support you in return. Join a team. Once you have given or received $20 in donations (as opposed to pledges), you have the option of joining or creating a team of other writers. Team Players are listed in the Writer Teams area of the web site and on their writer page, and earn a special badge for their grid. Find out how to join or form a team by visiting our Tips for Teams page. Once you've joined or formed a team, write to treasurer@theclarionfoundation.org to let us know. Get Write-a-Thon badges for your blog and your website. Wear a Write-a-Thon t-shirt or hat in public. And download Write-a-Thon flyers to hand out at conventions, readings and anyplace where writers hang out. You can also earn Write-a-Thon achievement badges. You can begin writing any time. But at the official start of the Write-a-Thon, we have a special treat for you. On your Write-a-Thon writer's page, you'll see a grid with a question mark in each square. You can earn a maximum of one merit point every 24 hours by clicking the "I WROTE TODAY" button that will soon appear near the grid. As your merit point total passes certain milestones, merit badges will appear in your grid. We're keeping the formula secret, so you never know when a badge will appear or what it will be. It's all part of the motivational fun. We're also trusting you to be honest. Only click the button if you really did some writing! Sign up for the Clarion E-bulletin mailing list. It's the best way to keep up with the latest Write-a-Thon news. If you have any further questions, contact Justin Whitney or Tom Chmielewski at webmaster@theclarionfoundation.org, or click the Feedback/Help icon at the top of any page.